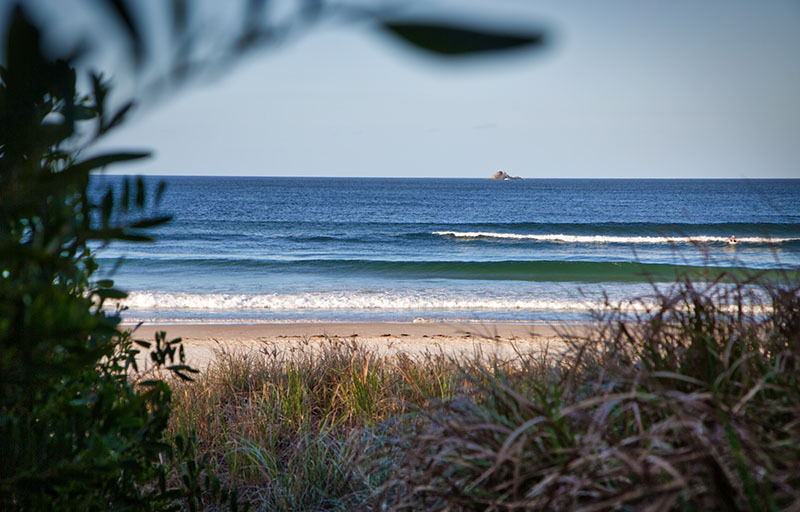 When I first visited Byron Bay back in the late 80’s it was just a sleepy little town with a few cafe’s, retro motel-like accomodation and with a surf culture driving the local economy. Well, I’m back and boy has it changed! She still has that surfy feel about her but Byron, you look so different, I swear you’ve have had a makeover since my last visit 30 years ago – definitely some botox, a few healing rituals and yoga sessions. Well look at you now, you’re all grown up and boy aren’t you surfy hipster cool! People still walk around in shorts, singlets and bare feet but they are heading towards boutique shops, cafes for their soy latte double shots and munching out on poke bowls. You have become the talk of North Coast NSW if the long line of traffic into town is any indication. We stayed just outside the traffic built-up centre, in self contained villas right on the beach and an easy 8 minute walk to town by sand or road. Cavvanbah has 4 tropical beachfront villas with a pool and beach access via the back gate. Walk over the railway tracks and through a sandy path and voila – you’re on the beach. It proved to be a great choice in accommodation. Take the walk to the lighthouse and enjoy magnificent views. Along the way you’ll stand at Australia’s most easterly point. We started the trek at our accomodation and walked mainly along the beach. When we got to the end it was well signposted along a coastal path and took as past the gorgeous Wategos Beach, another area with some lovely holiday accommodation. It took us about an hour to get to the lighthouse and an hour to return. We started at 10am and by the time we got back to town it was about midday so we headed to Finn Poke for a Poke bowl. That’s right, when in Byron… eat a poke bowl. Byron is in a great postion for visiting local towns like Nimbin which is about 70km west of Byron Bay. Remember my late 80’s reference, well I also visited Nimbin way back then. I still remember driving into town on my first visit where I was greeted by a homemade bong sitting on a lion’s club picnic table – hey this is Nimbin. 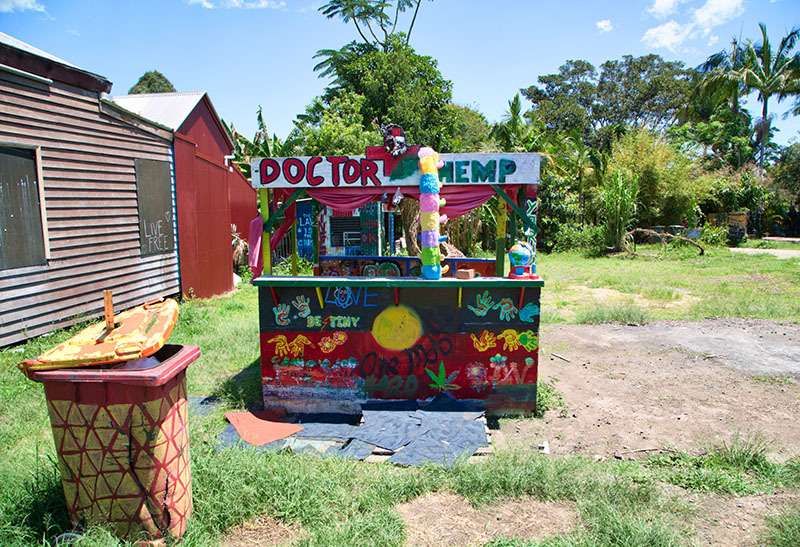 Nothing much has changed, the wafting smell of marijuana as you roam the streets is a reminder that Nimbin is the unofficial capital for social reform. If only they could straighten up to remember this and do something about it. We expected healthy vegan or vegetarian options on every corner café but sadly they don’t exist. While Byron is healthy and likes to keep fit, Nimbin is the wasted sister who succumbed to drug-filled days, liked it a bit too much, and will help you grow your own, or just buy what you need from the experts of 50 years. 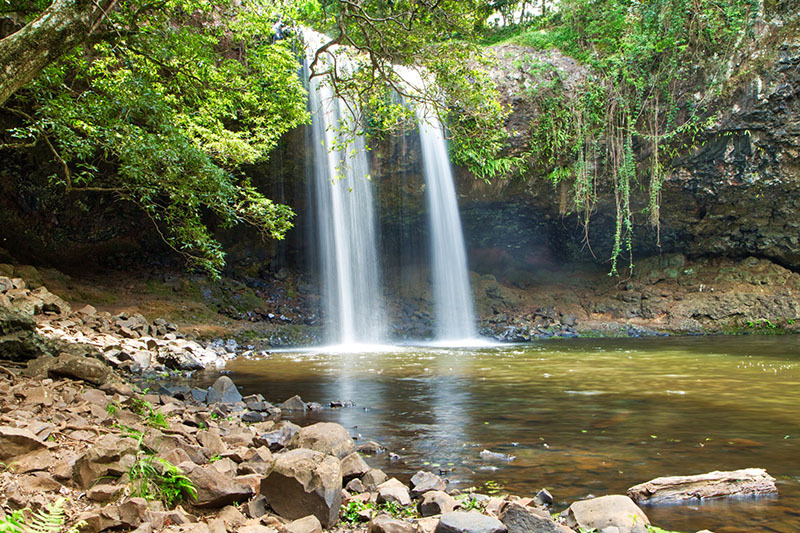 Also check out Killen Falls in Tintenbar, it is a fabulous place for a dip and easy to get too. On the way back stop at Newrybar with it’s great shops and a restaurant called Harvest. Wow, Harvest was a standout and we wish we had of stopped for lunch as the menu, the coffee and the ambience was 10/10. If you have ever visited The Grounds in Alexandria (Sydney) you will know what to expect. 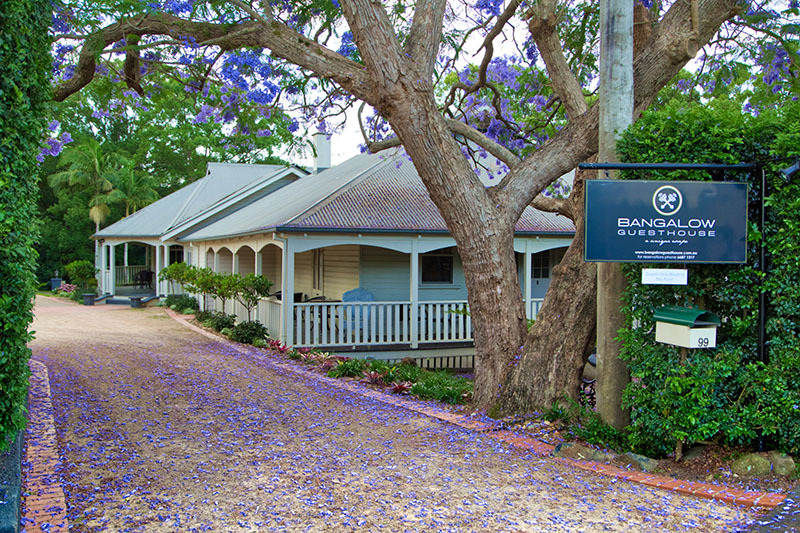 Also visit Crescent Head, Brunswick Heads and Bangalow where we stayed for a few nights at the Bangalow Guesthouse – a stunning early 1900’s heritage property within an easy walk to town. So get into the Byron lifestyle, do as much or as little as you like. Yes, it can be expensive but that all depends on your level of accomodation, and don’t forget to visit the surrounding towns. Until next time Byron…you will be missed.